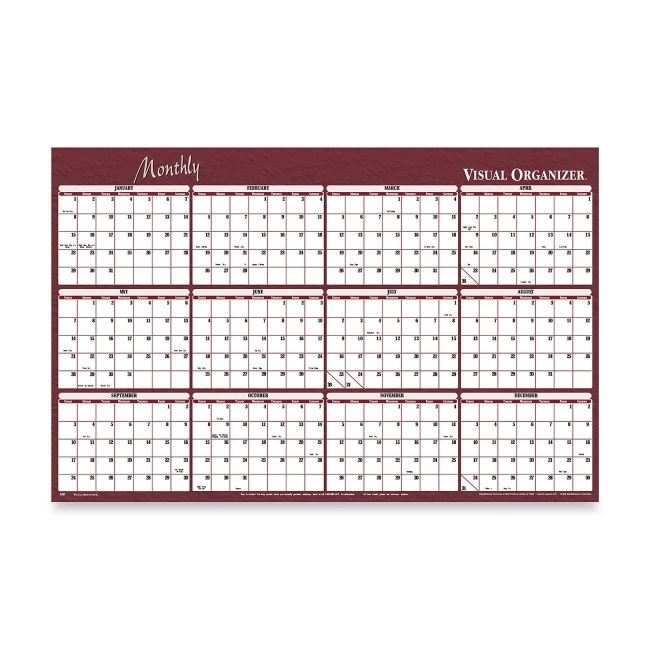 Visual Organizer Reversible Monthly Planner - 48" x 32"
Block Size: 1.13" x 1.13"
Media Size: 48" x 32"
Reversible monthly planner provides a convenient write-on, wipe-off surface that is reversible for two sides of planning. One side has 12 months from January to December horizontally listed with a blue border, and the other side has the same format with a burgundy border. 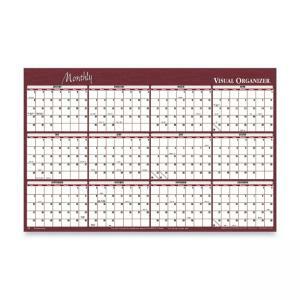 The dated months include daily 1-1/4" x 1-1/4" blocks for writing deadlines and milestones. Change easily by erasing and the rewriting. Two-sided planner includes a marker.